When you’re famous, you have to be prepared to be the subject of some wild and crazy gossip. Here are some crazy rumors surrounding NBA stars past and present. Jimmy Butler broke the Chicago Bulls’ franchise record for most points in a half set by Michael Jordan earlier in the season. The two have a striking resemblance, and one tipster tells us there’s a reason why. 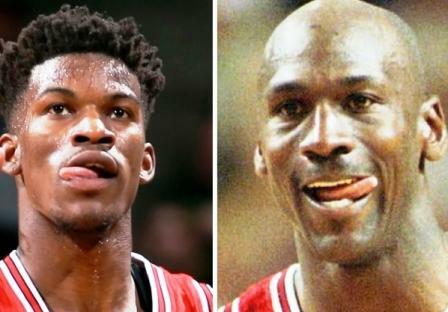 Butler may be MJ’s illegitimate child. This sounds crazy but they do look a lot alike.